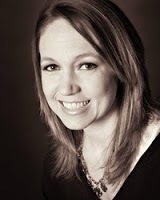 DJ's Book Corner: DeeJay Reviews: Prophecy by @juliealindsey @lyricalpress + #GIVEAWAY! 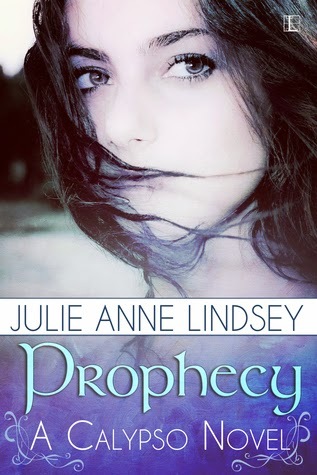 DeeJay Reviews: Prophecy by @juliealindsey @lyricalpress + #GIVEAWAY! Any book that has mythology is going to snag my attention. This was no exception and I'm happy to say it wasn't a bad choice I made. Glad to have read it as it had an interesting premise that could really go somewhere in later books. As for the first book, the first half dragged on pretty slow with no action or anything paranormal in the least. That was a bit disappointing for me as I was expecting an action packed book. What we get is sort of a teenage love triangle as a new guy, Liam, comes to town and changes the feelings Callie has been building for her bff Justin, whom I loved from the jump. Callie spends a lot of time just trying to figure Liam out and how to tell Justin she just wants to be friends. I also loved the scenes with Allison who is just too much fun. I always like when the best friends are entertaining and fun. It allows the MC to be more serious and handle arising issues. When we do finally get a glimpse into what's going on and why Liam and his brother Oliver have come to town, a pretty cool concept emerges–VIKINGS. That's all I'm going to say. Now I like this idea and hope the author takes it FAR in future books. I hope she goes overboard with it because it needs that to really make it special. This is mythology, this is fantasy. It needs the extreme, always. As for the Norse mythology, I was pretty let down here. There really wasn't any, and the first god we meet is not even Norse. It's a Greek god. I'll let you figure out how all of that works. Also, when Callie finds out what Liam is all about, she accepts it much too easily for me. She doesn't really question the validity of it, she just questions to understand it better. There's kind of a reason for that, but I guess I wanted her to question the truth of it a bit more. She's mortal and Liam...well...is not. I'd be questioning things for months, lol. Overall, not a bad read. The action does pick up, but it just takes a while. If you're looking for a book filled to the brim with mythology, this isn't it. However, there are things to love such as the characters and the great writing. The author has talent and is really good at creating scenes that you can picture quite easily. Those are important strengths for a book like this. I just hope future books pick up on the action and mythology a bit and really blow our minds!